Pest description and damage The cottony camellia scale (sometimes called taxus scale) crawlers are flat brownish or yellowish sucking insects. 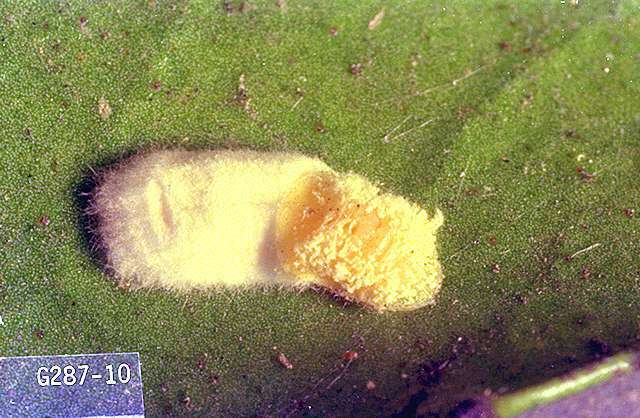 Females create a distinctive oblong cottony egg sac. 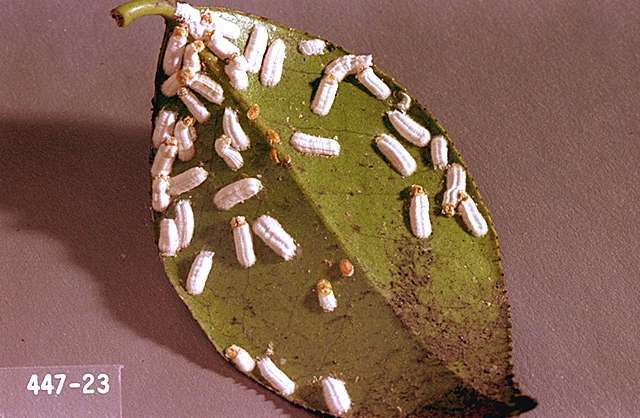 Pale yellow crawlers (young scale) feed on the undersides of leaves and along veins. 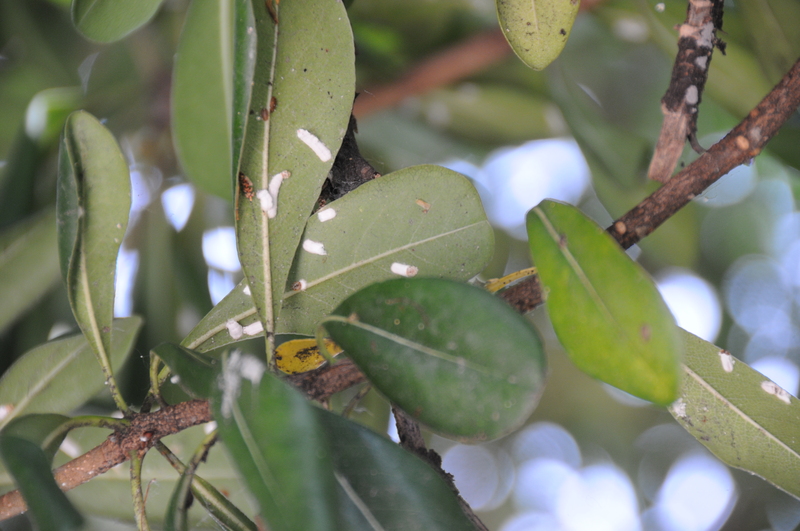 Foliage with scale infestations may turn yellowish or pale in color. Due to copious honeydew, leaves below become covered with a crust of black sooty mold. 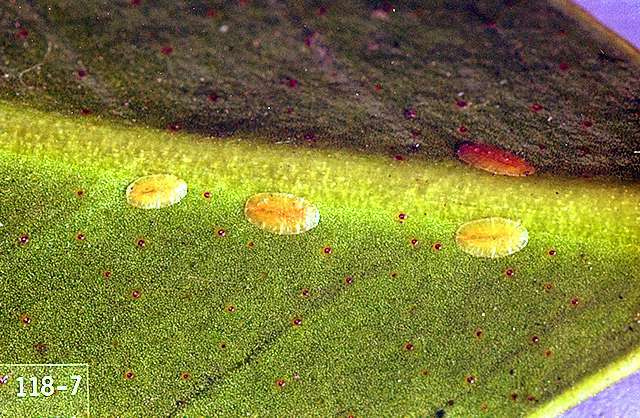 The cottony camellia scale also is found in camellia and many other hosts. On yew, it is also known as the cottony yew scale. It is possible to have low numbers of this insect for years without an outbreak.